Sarah Keefer joined LPL Financial in 2014. Sarah is a Licensed Financial Advisor holding a Series 7, Series, 66, and Life and Health Insurance license.With previous employment as a financial advisor at a national broker/dealer. 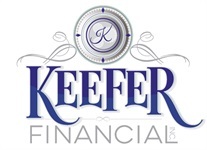 She brings experience, financial knowledge and solid investment strategies to Central Illinois. Raised in Farmington, Sarah graduated from Farmington High School and went on to receive a Bachelor of Science degree from Western Illinois University and a Masters Degree in Business Administration from the University of Illinois. Sarah currently resides in Farmington with her husband Rick and daughter Alayna. She believes in being active in her community and has served as Ambassador for Chamber of Commerce, President of Business Networking International, President of Farmington Parent Teacher Organization, member of Rotary Club, Farmington Township Park Board member, Farmington Summer Festival Committee. 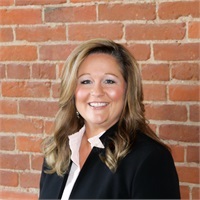 She currently serves as a member of the Community Economic Development Commission and on the Investment Committee for the Farmington Academic Foundation.